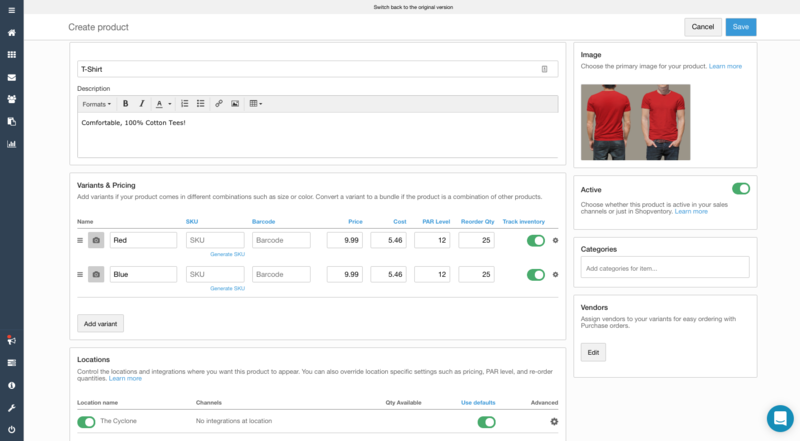 Shopventory now gives you more options to create and edit inventory with our new Product Page. 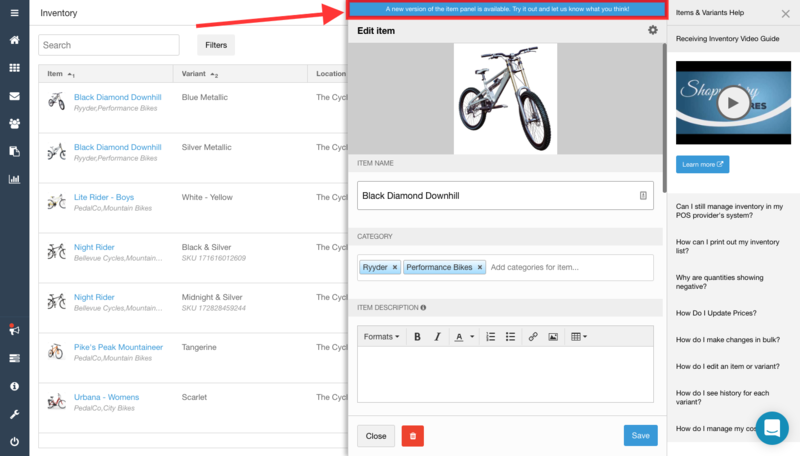 On the Product Page, you can add all the information you could in the Edit Product panel, and more! Product Name, Description, and Variant data can all be entered. Shopventory also now lets you set PAR Levels and Reorder Quantities. PAR Level - This is the minimum quantity you want in stock at all times. This is similar to Alert level in Shopventory. Reorder Quantity - This is the quantity you want to get back to when the quantity goes below the PAR Level. For example, I want to keep a minimum of 10 units on my shelf at all times. Once I get to 10 or below, I want to get back to a quantity of 20. So if I were to get down to a quantity of 5 units, my next Purchase Order would automatically order 15, to get me back to my re-order quantity of 20. Quantities can be set or added in the Advanced option in the Locations section. In the new Product Page, Shopventory wants to make sure every update to inventory has a definite entry. You can skip setting a quantity and then use the blue "Actions" button in the Products & Variants tab to add or edit the product quantity.